The first warm days of spring awaken drifts of cheerful yellow forsythia, one of the first shrubs to bloom each year. Managing these sprawling plants for best bloom, trying to keep them neat and orderly, is a challenge for many gardeners. If you like your shrubs neat, tidy, and clipped into geometric shapes, forsythia probably isn’t the shrub for you. The fact is that shearing is simply bad for forsythias, for several reasons. A major one is that forsythias form their flower buds during the summer and fall, so shearing them during dormancy (the right time to trim most other shrubs) removes most of the flower buds. Forsythias should be pruned immediately after blooming, and not at any other time. Shearing forsythias at any time is poor practice because pruning cuts should be made immediately above outward-facing buds, so that new stems will grow outward and not toward the center of the plant. Shears leave stubs. Pruners or loppers are the best tool for pruning forsythias. Forsythias naturally grow in long, drooping suckers, making a casual fan or fountain shape. Where the tips of branches touch the ground, they will often take root and form a new plant. The technical name for this is “soil layering”, and you probably should discourage it or the bush will gradually take over your entire yard. All your pruning cuts should be made close to the base of the plant, starting with the oldest and fattest canes. This is because forsythias eventually stop flowering on old wood. Thinning out old canes encourages new ones and gets rid of branches that are rubbing together. Extremely old forsythia bushes benefit from being cut completely down to the ground. We call this the “bush hog approach”. Making the plant start over will help it grow more evenly and gracefully, and once the new suckers get through their first year the plant will bloom much more heavily. It’s a good idea to feed the plant whenever you prune it or cut it back. It’s also an opportunity to get rid of sapling trees and other invaders that have gotten started under the spreading branches. If you mulch heavily, the forsythia will get a head start and shade out weeds. Because they colonize and spread by soil layering, forsythias can be a problem solver on steep banks and rough areas that are hard to mow. They do best in full sun. An informal hedge of forsythia is a great privacy screen, and aside from occasional thinning it doesn’t need much attention. We often see forsythias that have been sheared into balls and squares. Usually this practice results in an ugly, lopsided plant with bare patches where there should be blooms at this time of year. It’s better to let the plant fill out and droop naturally, as long as you’ve allowed enough space for it. There are compact and low-growing forsythia varieties, but most forsythia hybrids need a six to eight-foot circle to reach their potential. We like to say that if you want a low maintenance landscape you might have to change your ideal of beauty. There’s no better example of this than forsythia. 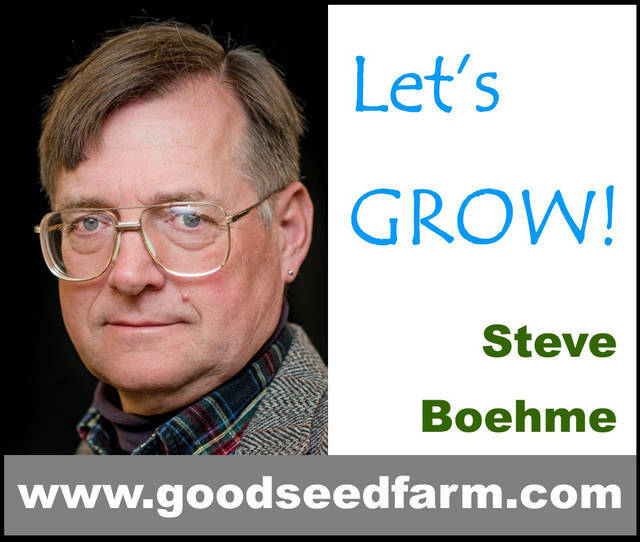 Steve Boehme is a landscape designer/installer specializing in landscape “makeovers.” “Let’s Grow” is published weekly; column archives are online at www.goodseedfarm.com. For more information call GoodSeed Farm Landscapes at (937) 587-7021.